NASHVILLE, Tenn. — With consecutive wins over Hofstra (93-64), Stetson (57-44) and in Sunday’s Nov. 25 championship game against previously undefeated Marist (76-60), the Wright State University women’s basketball team won the Challenge in Music City tournament. Imani Partlow led the Raiders (4-3) with 17 points, Tyler Frierson scored 12, Emily Vogelpohl added 11 points and Mackenzie Taylor finished with 10. Symone Simmons grabbed a game-best 11 rebounds. Wright State’s next contest will be a 2 p.m. Sunday Dec. 2 contest when the Raiders (4-3) will host Kent State at the Nutter Center. 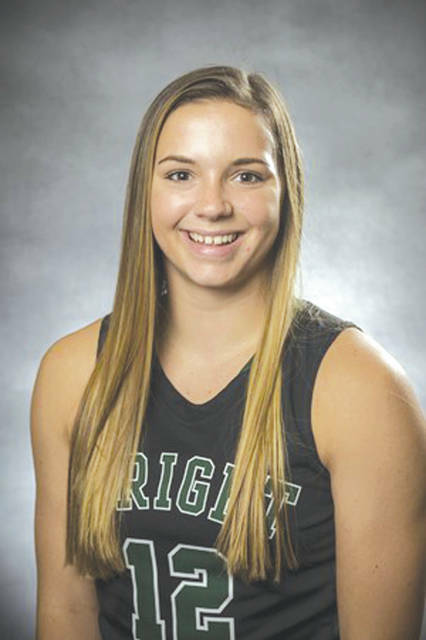 INDIANAPOLIS — Wright State University senior guard Mackenzie Taylor was named Player of the Week by the Horizon League, officials announced Nov. 26. In WSU’s three wins at the Challenge in Music City, Taylor set single-game career highs in rebounds (five), assists (three), free throws made (eight), made 3-pointers (five) and minutes played (38). Taylor was the Music City tournament’s Most Valuable Player as well. She is currently 20 points shy of reaching the 1,000 career points mark. WEST CHESTER — Beavercreek High School’s girls basketball team was outscored 29-13 in the second half of a 52-35 loss against Roger Bacon on Saturday, Nov. 24 at Lakota West High School. ‘Creek’s sophomore forward Anna Landing was the only Beavers player to score in double figures with 11 points. Beavercreek (0-1) plays at Springfield at 7:30 p.m. Wednesday, Nov. 28 for its next game. Their home opener is scheduled for 1 p.m. Saturday, Dec. 1 against Mount Notre Dame. BELLBROOK — Visiting Cincinnati Princeton handed Bellbrook a 61-23 girls high school basketball loss Nov. 23 at Bellbrook High School. No individual statistics were reported by either team. Bellbrook (0-1) is next scheduled to host Southwestern Buckeye League, Southwestern Division foe Monroe next, at 7:15 p.m. Monday, Dec. 3. The Xenia High School Athletic Hall of Fame induction committee announced its 2018 class of inductees Oct. 31. It is the school’s eighth induction class.